You might often wonder whether it’s better to save money or invest money. But, it’s clear that investment is the key for generating long-term income. If you’re considering venturing into the investment market, you need to make sure you’re au fait with the process. You should never get involved with something you don’t fully understand. This is especially true when it comes to investments. You’re talking about large sums of money, so you need to be confident in the decisions you’re making. That means you need to learn as much as you can about investments before you start. The good news is that investing is so popular these days that you can learn all about it easily. Follow this guide to understand and execute everything you need to know about investing. This is vital for helping you navigate the topsy-turvy world of investments. A good step to take would be to choose an investment role model. This is someone who has made a name for themselves in the investment world. A person you can look up to and follow the path they took. Try to choose someone still active who provides sage advice to experts and rookies alike. 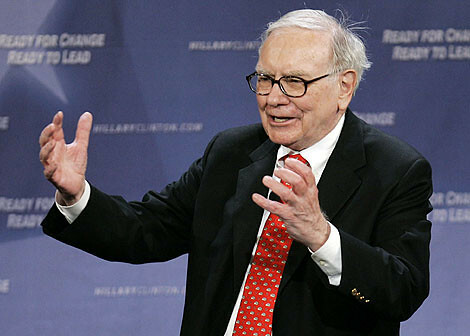 Someone like Warren Buffett would be an ideal choice. He is a seasoned veteran of the investment market and is a great role model for aspiring investors to follow. It’s also important to make sure you do the appropriate amount of reading up on investing. There is plenty of literature around these days in the forms of books, websites and articles. By reading about things, you’re going to find that you get a much better grasp of how the industry works. Make sure you read a number of articles about the investment world so you can figure out the best options. You need to understand what the best things are to invest in, and how you can make decisions to get the best possible outcome. You need to put yourself in the driving seat when it comes to understanding the market. Getting as much information as you can before you begin is crucial. And the best way to achieve this is to make sure you speak to people who have invested already. Talk to your acquaintances who have experience in the investment market. See what they can suggest about the kinds of steps you should take and what you should invest in. They will be able to give you plenty of advice about what you need to look out for, as well as giving you tips too. In addition, to reading articles and talking to people, there will also be tutorials. A quick internet search will reveal that there are many tutorials to help you understand the investment market. There might even be course you can take to give you a beginner’s guide. If you can follow these tutorials you’ll be in the perfect position to understand how to invest, and you’ll be able to generate success from it. These are just a few of the great ideas you can use to find out about investing. Before you start investing money, you need to learn all you can to ensure you make a sound investment choice. The ideas behind this post are to figure out ways to learn everything you need to about investing. Have a look and make sure you use the ideas on here to help you.